Thank you to all our wonderful customers for the lovely words… so appreciated and it was our absolute pleasure. 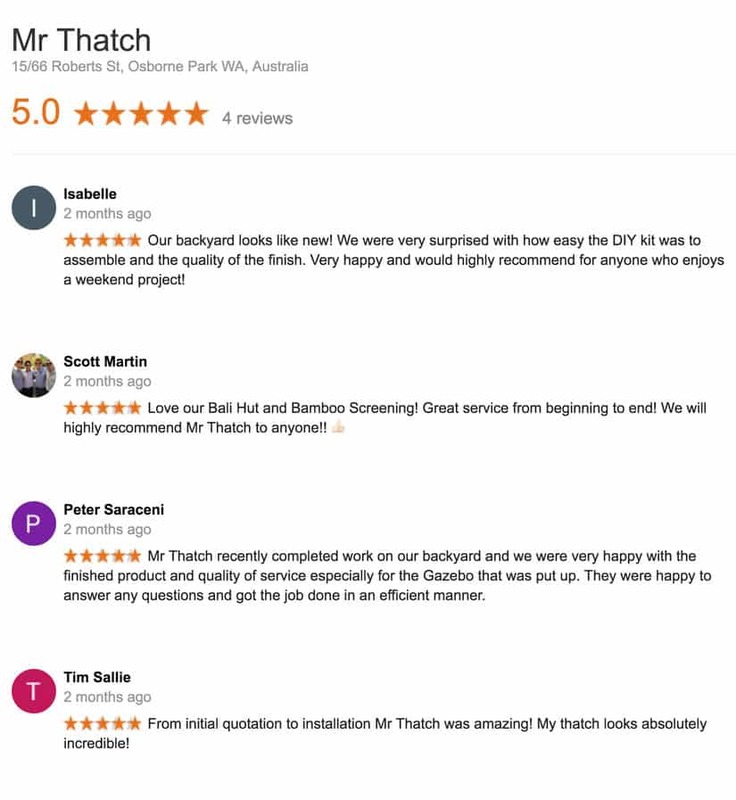 “Jacqui and the Mr Thatch Team”. Just wanted to say thanks so much. We love it! All did a great job and will definitely recommend you to our friends. 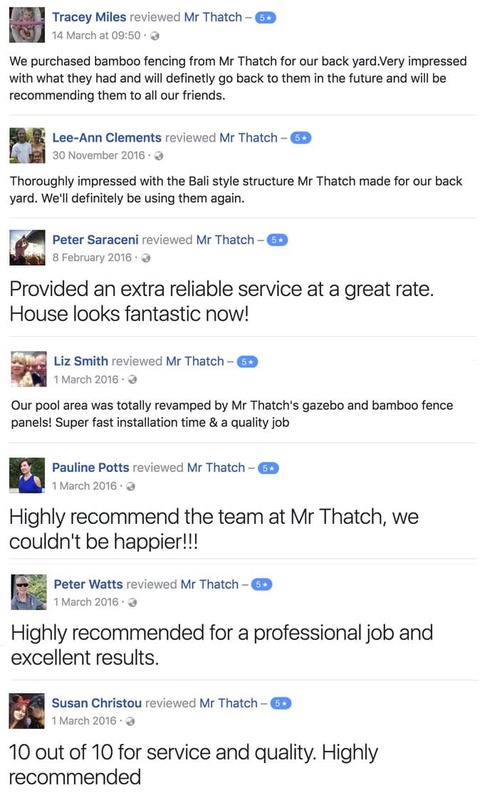 Hey it was easy singing Mr Thatch’s praises, my Bali Hut is absolutely beautiful!It’s been truly delightful dealing with you and your boys :): )Thank you for deducting those amounts, I shall arrange payment today.